Nokia Lumia 1520, the six inch Phablet from Nokia has been unveiled officially at Nokia World and though most of the leaked specs hit the bull’s eye, there is much more to this new phone in the software department. 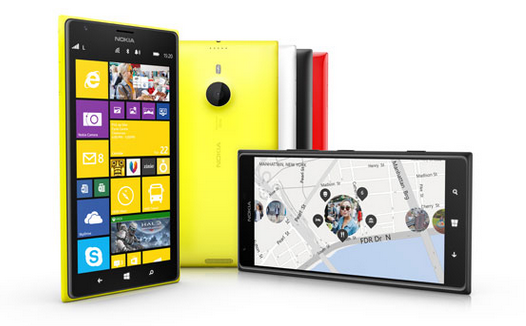 The Nokia Lumia 1520 comes with A 6 inch Full HD display, support for which has been added in Windows 8GDR3 update. The screen is expected to be quite vibrant. Thanks to the large screen real estate this tablet will feature a third column of live tiles which we will also see on Lumia 1320 revealed today. The phone is powered by a latest 2.3 GHz Quad core Snapdragon 800 which is power efficient and is assisted by Adreno 320 GPU which will enhance your graphic experience on this big resolution phone. The RAM capacity is 2 GB and will give you smooth multitasking experience. 16 GB and 32 GB Internal storage options will be available in this phone. You can further extend the storage to 64 GB using the microSD card. The 20 MP BSI sensor PureView camera comes with Optical image stabilization and it will be interesting to see how it compares to the Xperia Z1’s 20.7 MP shooter. The lens is F/2.4 Carl Zeiss lens. The Camera is aided by Nokia Pro Cam App which we saw in Nokia Lumia 1020 and which was later made available to other Lumia’s with Amber update. Nokia Story teller App is a new addition from Nokia which will integrate your pics with Nokia Here Maps. Zoom out and you can see in which part of the globe you had clicked all the images on the Maps and you can also opt to watch the slide show. This phone also has 4 Mics to support directional Audio while recording videos. 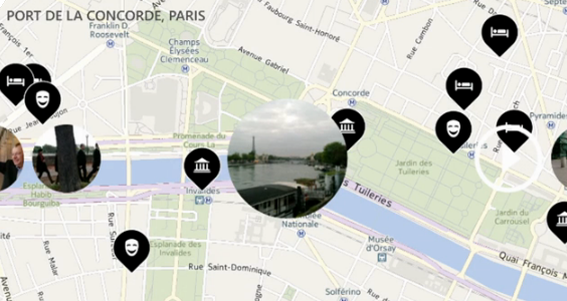 Nokia Beamer app allows you to share your live screen over a PC. Nokia also announced that apps like Instagram and Vine will soon hit the Windows platform. The phone sports a 3400 mAh battery which supports Qi Wireless charging and has been priced at $750. You can watch the promotional video below for a closer look.